Well, I managed to miss another date I had. I was supposed to see the latest Harry Potter tonight but I’d gotten ill in the middle of the night before and still don’t feel all to well. So I decided to post another outfit-less post! 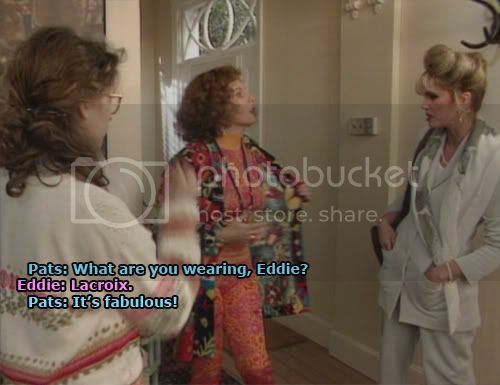 All dedicated to AbFab. If you haven’t seen it yet then shame on you because if you’re reading this blog and are therefore interested in fashion it’s a MUST-SEE. Especially if you love British humour of course ^^. I made these quite some time ago to post on LJ to be fair but I figured it deserved a place here as well! 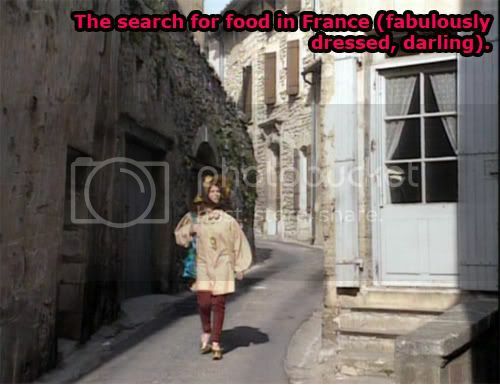 What I love most about this series is how they’re able to so effortlessly make fun of all the fashion world clichés! And basically I want to live in all of their closets…. even Saffy’s. Yep, you read that right : Saffy’s closet. 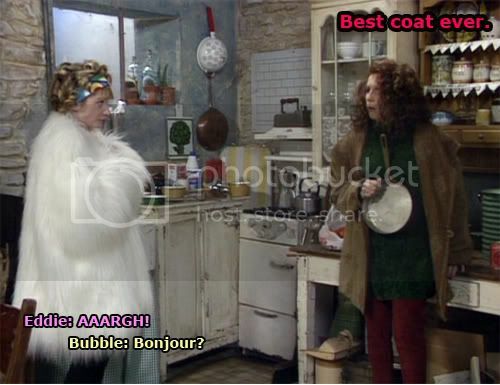 But mostly Bubble’s! Argh, she wears the best things EVER. Teletubbie dresses? I love Bubble, marry me. This sounds like a lot of fun :).